Bafana: Basic skills a start! 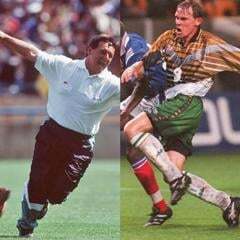 Cape Town - The coach and captain of South Africa’s winning 1996 Africa Cup of Nations (AFCON) team have both said they still believe the current team has what it takes to progress out of their group. Speaking to BallzRadio, Neil Tovey and Clive Barker were not enthused about the quality of Bafana’s current football, but they both downplayed the seriousness of the draw with the Cape Verde. "Cape Verde are not necessarily the weakest team in the group. Obviously on past results, and past AFCON experience they are the lightest. On statistics they are the highest qualified in the group," Tovey said. "They can’t be too bad a team to draw with Nigeria 0-0 and to take out Cameroon in the qualification process," Tovey added. Cape Verde are the highest ranked team in South Africa's group, currently 15th in the continent and 70th in the world, 15 places higher than Bafana (22nd in Africa, 85th in the world) in the FIFA world rankings. Barker believed Bafana had to target their next game against Angola (Wednesday, 17:00), the lowest ranked team after Bafana in Group A. "I really think Angola will suit us, having watched them and I think we can win comfortably," said Barker. "We are quite capable of beating both (remaining) sides." Tovey said that one advantage that the winning Bafana side of 1996 had over current players was less pressure from media and social networks. But Tovey warned that there would be no second chances for Bafana. “The next match is a cup final. You lose your second game of the tournament and you’re out of it. If you win it you’re right back in the mix,” cautioned Tovey.